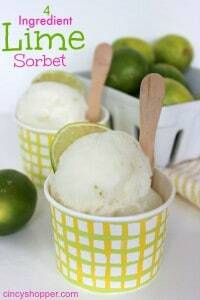 Here’s a super easy 4 Ingredient Lime Sorbet Recipe that will soon be one of your favorite cold summer treats. Last week, we enjoyed the 4 Ingredient Watermelon Sorbet. We polished it off so quickly, dad decided to make a fresh batch of sorbet for all of us for dessert last night. One of mom’s favorite flavors is lime. We took a trip to Aldi and dad located some limes on a great sale. Dad IS VERY frugal (sometimes more frugal than mom). I was very anxious to try sorbet with lime flavor because I’m a big fan of lime as well. Sprite/any lemon lime soda is one of my favorite flavors of soda. 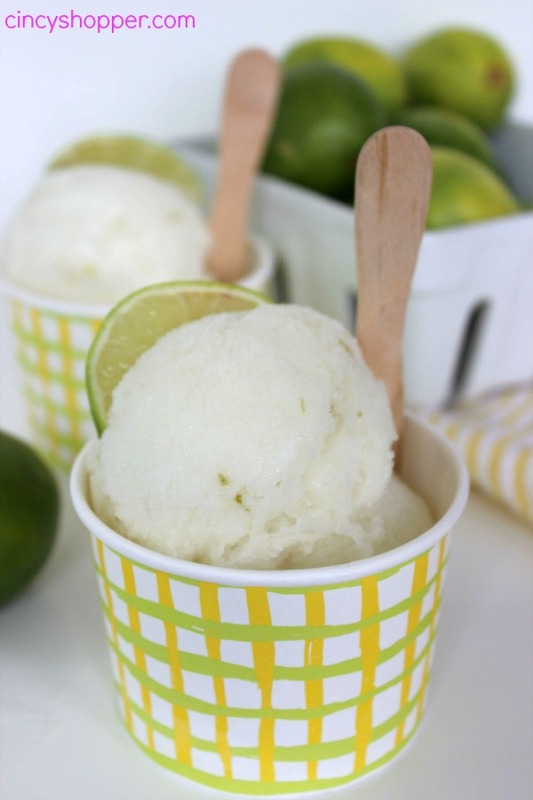 I knew I was going to quickly become a fan of this 4 Ingredient Lime Sorbet Recipe. Sorbet is a great treat to cool off in the summer. Mom is always on the hunt for inexpensive cold and refreshing treats for all of us to enjoy. 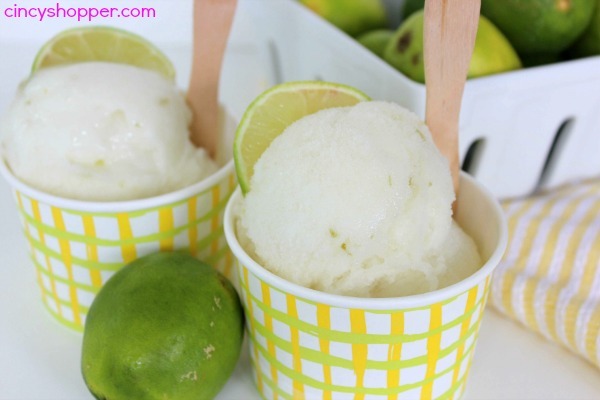 This lime sorbet recipe was both inexpensive and very refreshing. The ingredients for this 4 Ingredient Lime Sorbet Recipe are quite simple. 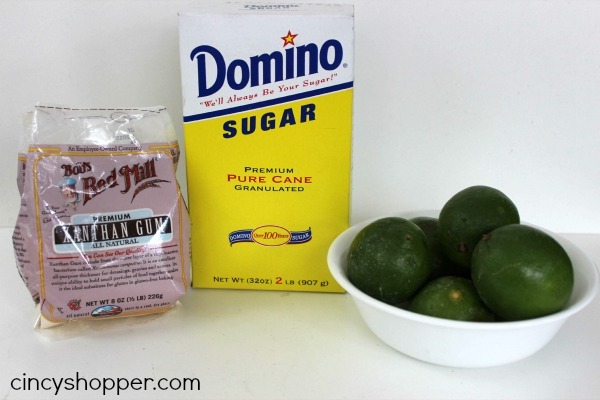 Just grab some limes, water, sugar, and Xanthan Gum (can be found at your local grocery in the health foods area). With a little bit of time and a small amount of effort, you too will be enjoying this lime sorbet. 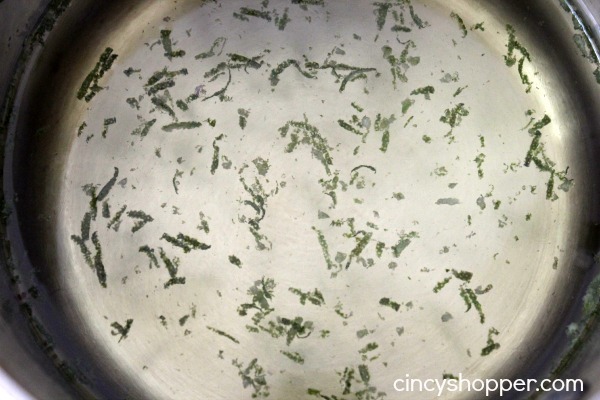 Bring sugar and water to a boil along with lime zest. Squeeze limes until you have 1 cup of juice. Make sure to strain lime juice to remove seeds and pulp. 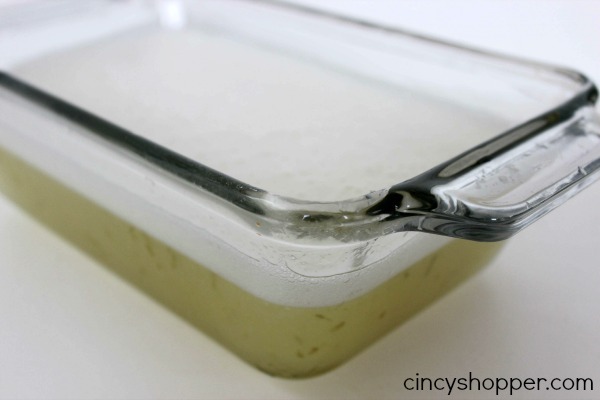 Add lime juice to simple syrup and add xantham gum. Stir with electric mixer or whisk to make sure xantham is fully dissolved and incorporated (it will be foamy). Place in rectangular pan and place in freezer. Every 30 minutes, scrape edges and stir to help ice form without it freezing solid. Looking for other cold and refreshing treats? Be sure to check out our Vietnamese Coffee Popsicles Recipe, No Churn Mango Swirl Ice Cream Recipe, and Strawberry Shortcake Popsicles Recipe. This is so perfect for summer. And I never would have thought it was so easy to do. This sounds refreshing and easy to make! Thanks for sharing. I love how simple this recipe is and I love anything sorbet! Can’t wait to try it out! Such an easy recipe! I pinned it to my Ice Cream board. Thanks for linking up at Motivation Monday! Wow! This looks so yummy and refreshing, Cierra! Thank you bunches for linking up and partying with us! Thanks for sharing at the #WWDParty – Happy Summer Solstice 2014! This looks like it would be so refreshing on a hot summer day! Wanted to let you know that your recipe will be featured at The Scoop link party this Monday night. Thank you for linking up! Hope you are having a great week and thanks so much for sharing this awesome recipe with Full Plate Thursday. where can one buy xanthate gum? Do you think I could use an ice cream maker instead of a freezer?